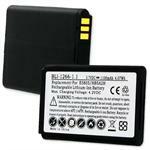 BLI-1268-2.2 : 3.7v 2200mAh Li-Ion BATTERY for HUAWEI Wi-Fi hotspot. Replaces HUAWEI part # HB5AP2. Fits in HUAWEI E5756, E587 ; T-Mobile UMG587. 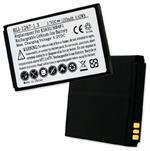 BLI-1310-1.2 : 3.7v 1200mAh Li-Ion BATTERY for ZTE WiFi hotspot. Fits in ZTE JetPack 890L, Li3711T42P3H354246, Li3715T42P3H654251, MF30, MF51, MF60, MF61. 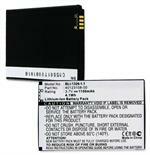 BLI-1327-1 : 3.7 volt 1050mAh rechargeable Li-ION battery for NOVATEL MIFI 2200, L01478001. 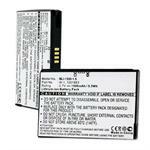 BLI-1327-1 : 3.7 volt 1050mAh rechargeable Li-ION battery for NOVATEL MIFI. Fits MIFI 2200, L01478001. 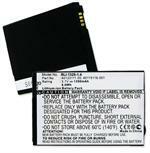 BLI-1043-1.5 :3.7v 1500mAh Li-Ion battery for SAMSUNG WiFi hotspot and CellPhones.